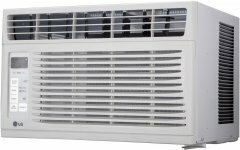 Models shown here should all be window-mounted and may or may not be marketed specifically as low-profile air conditioners, but they must obey a maximum height of 12.5 inches, generally referred to as 12-inch high air conditionners as a class of their own. 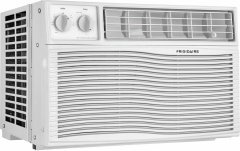 Considering this air conditioner's aggregate ranking of 90%, we are confident that the Frigidaire FFRE0633U1 is, as of now, Alphachooser's best low-profile window air conditioner 2019. Furthermore, we think that our 152 reviews sampled from our sources give us a high confidence level (more on confidence levels) that pushes us to label it a "no-brainer best choice." 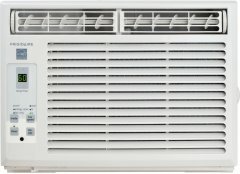 With its star rating of 4.5 computed from 540 reviews, here is second best low-profile window air conditioner. 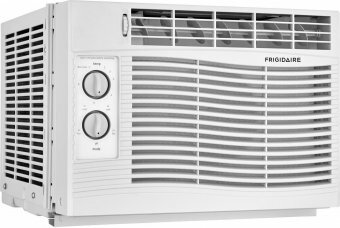 * This list is based on an in-depth analysis of hundreds of low-profile window air conditioner reviews from across the web. 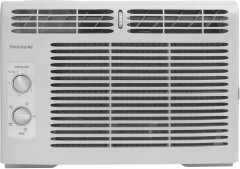 Standing at only 11.13 inches, which makes it one of the narrowest AC units on the market, even in the low-profile window air conditioner category, the LG LW6017R comes with a 6000 BTU rating, a dehumidification rate of 1.8 pints per hour, and three cooling/fan speeds clubbed with an auto cool feature. It promises to cool bedrooms and home spaces of up to 260 square feet, which we think is a bit of a stretch, considering that 6000 BTU units are designed for areas of 150-250 square feet only. That being said, a good number of its reviewers (It gained a total of 739 reviews as we were writing this) praise its ability to cool rooms as advertised. 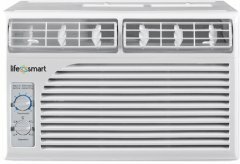 Speaking of efficiency, this 4-star LG unit is also among the most energy-efficient low profile window air conditioners out there, scoring a favorably-high 11.5 energy efficiency ratio (EER) and a reasonable 47-dollar Energy Star annual cost. 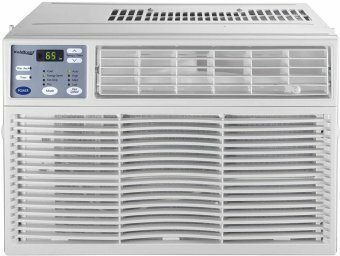 Also, it offers energy-saving features (though not rare ones) like a timer function, which some buyers commended, since it allows them to set a specific time of day for the AC to fire up on its own, so that the house is already cool when they arrive from work. 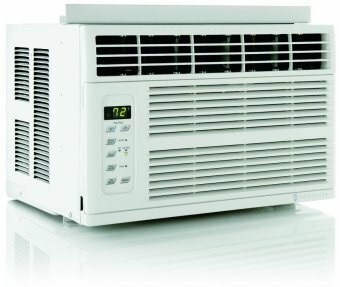 Another mode lets it shut off instantly when a desired temperature level is reached and subsequently come back on every three minutes to check if it needs to cool some more. Some reviewers who gave it negative scores noted that they got broken units from the get-go, while a few others mention that it's apparently very noisy and does not cool the area every well. 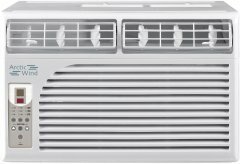 On the contrary, some users say that this window-mounted low-profile AC runs smoothly and does not try to wobble out of its window socket. 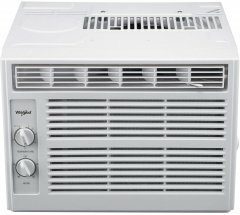 A certain unhappy buyer also said that in just under a month of use, this unit starting spitting out ice and emitting an intolerable noise. 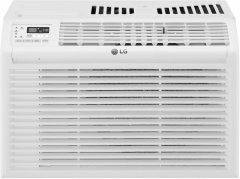 At the end of the day, after sampling a total of 14558 reviews from various sources, our shopping algorithm determined that the LG LW6017R belongs in our list of the top 10 low-profile ACs. 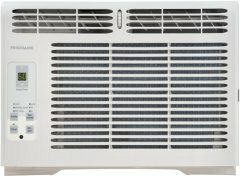 The LG LW8016ER is an 8000-BTU low profile window air conditioner that averages a user rating of (rating temporarily unavailable) stars, with a total of reviews under its belt -- roughly half of them were enthusiastic 5-star reviews when we were checking it out. 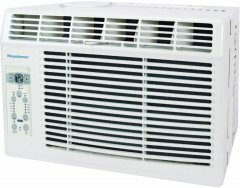 Pitted against its rivals on this AlphaChooser list, the LW8016ER is apparently one of the most efficient low-profile AC units available, boasting an Energy Efficiency Ratio (EER) of 12.1, whereas most tantamount units only score somewhere within the 10-11 EER range. One user even claimed that it brought down their electricity bills on top of cooling the room as intended. Another happy buyer reported that it cooled not only their large open kitchen and the adjacent family room, but also made the downstairs atmosphere livable . 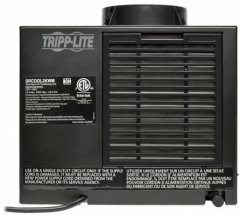 While users are torn on whether the LW8016ER is light or heavy, they generally agree that it is quite easy to install and that its compressor sounds quieter than those of several competing low-profile window ACs. 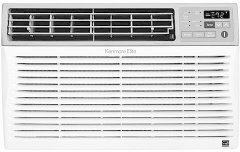 A few users disagree, though, talking about horrible ratting sounds and severe vibrations in their reviews, although only 21 percent of its reviews were 1-star rants at the time of writing, which is still within the acceptable range for low-profile air conditioners. 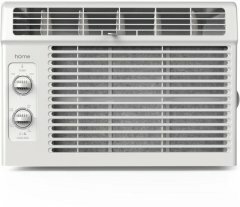 Going back to its strong points, a couple of users loved its reasonably adjustable air flow and apparently powerful fan, while another buyer mentioned that its simple remote control is not very picky about aim. 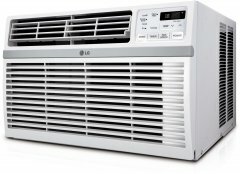 So, after sending out our review-crawling algorithm to sample reviews for low-profile ACs across our sources (It picked up 14558 reviews), it's certainly safe to say that the LG LW8016ER, with its aforementioned mix of positive and critical reviews, is not among the best low-profile air conditioners out there -- at least not in terms of aggregated user review scores.